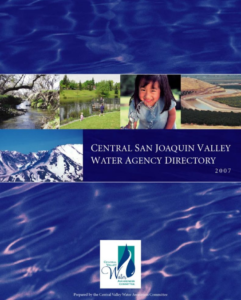 Central San Joaquin Valley Water Agency Directory 2007. 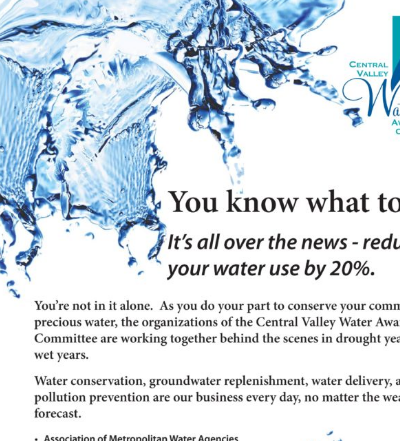 Water conservation tips for inside and outside the home by the California Water Awareness Campaign. 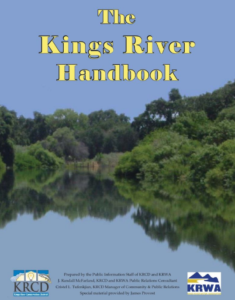 Groundwater management in the Kings River Region. 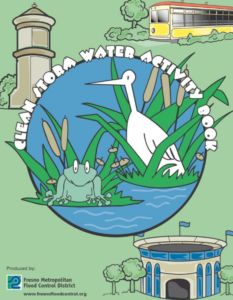 Storm water and pollution prevention education activities designed for children in grades 3-6.